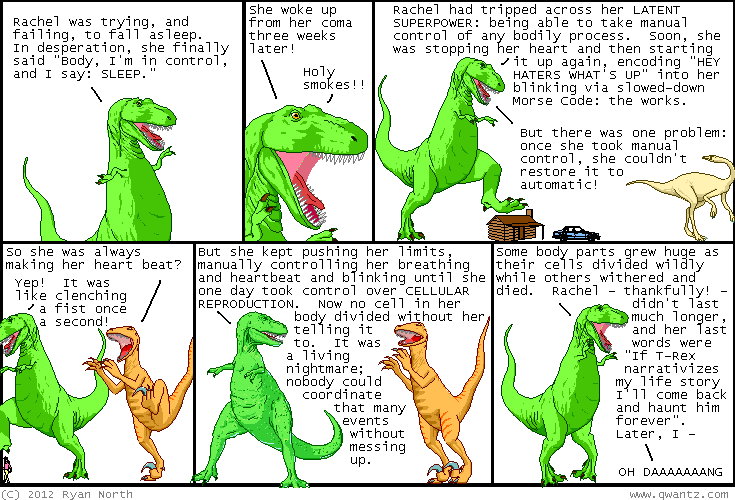 Dinosaur Comics - October 16th, 2012 - awesome fun times! October 16th, 2012: The secret project I was teasing has been announced: it is a comic based on GALAGA written by me, drawn by Chris Hastings and coloured by Anthony Clark! It will start SOON and it will feature EXPLOSIONS and SPACE and PALS. Are these three of your top interests? Gosh I sure hope so.